Vitamin Buddy delivers a monthly dose of vitamins for your hair, delivered to your doorstep. 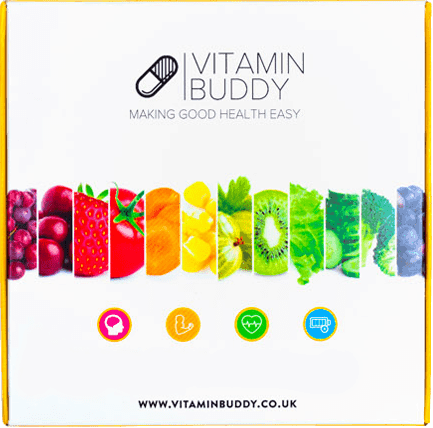 At Vitamin Buddy we are all about making health easy and helping you get just the right vitamins for your hair. 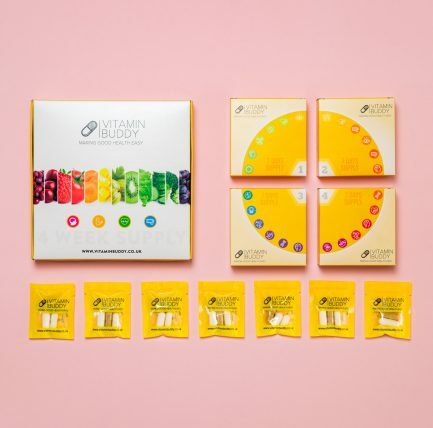 Each month we will send you a box of high quality vitamins, separated into 28 convenient daily packs delivered direct to your door. 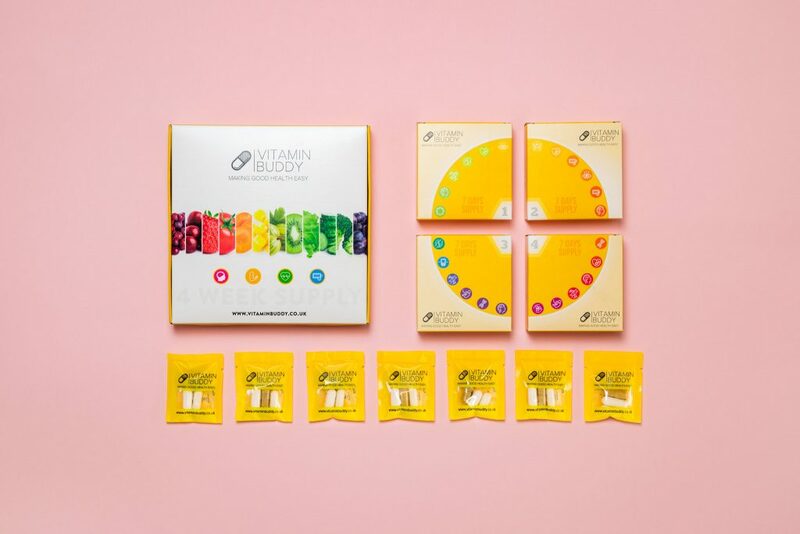 With all of your daily vitamin requirements packed neatly into individual sachets, you no longer have to deal with bathroom cabinets cluttered with large bottles of vitamins. Our vitamins are gluten-free, made in the UK and free from artificial fillers and binders. We’ve got the seal of approval from The Vegetarian Society and our products are vegan friendly too. Our vitamins are full of the highest, pharmaceutical grade nutrition, for maximum impact. Tablets need artificial binders and fillers so that they don’t fall apart. 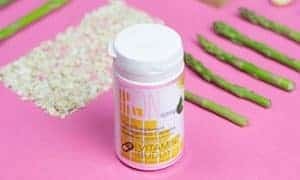 We only use capsules to avoid using any nasties in making your vitamins, which also maximises absorption. Every single vitamin is produced in the UK under Good Manufacturing Practice. 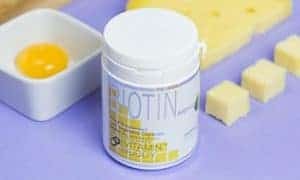 Biotin helps create amino acids that produce a form of keratin (which our hair is mostly comprised of), which can help maintain hair’s health and improve its strength. 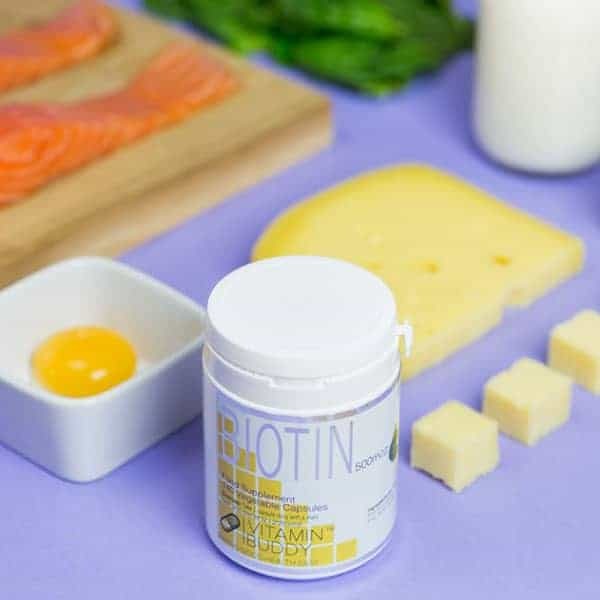 What other benefits does Biotin have? 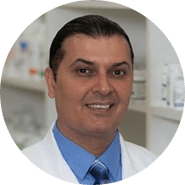 Biotin, or B7, is a member of the B-Complex vitamin group and plays an important role in both the normal function of the nervous system and psychological function. The release of energy from food and promotes a healthy metabolism. The maintenance of normal skin and mucus membranes. The maintenance of healthy hair. The maintenance of healthy nails. Rice Flour 494mg, Capsule Shell: Vegetable Cellulose 100mg, Alfalfa 5mg, Biotin 500ug. When the body doesn’t have enough iron to produce hemoglobin, a deficiency results and oxygen cannot be transferred to the bodily cells for growth and repair. Hair follicles are made up of cells that require hemoglobin as well, which means that low iron levels often result in hair falling out and slow hair growth. Iron is an essential mineral with a number of crucial functions for the body, and is a key part of haemoglobin which carries oxygen around the body. 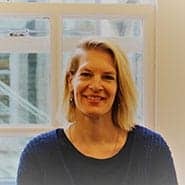 Iron contributes to normal cognitive function, normal energy-yielding metabolism, normal formation of red blood cells and haemoglobin, normal oxygen transport in the body, normal function of the immune system, the reduction of tiredness and fatigue and has a role in the process of cell division. What other benefits does Iron have? Collagen has a big impact on is the regeneration of dormant hair follicles, leading to hair re-growth and prevents hair loss. It also helps keep the appearance of your hair shiny and healthy looking. Collagen is one of the most abundant proteins in the body and it makes up a large part of our skin, hair and nails. It is what is responsible for giving skin elasticity, hair its strength, and connective tissue its ability to hold everything in place. It is a complex structural protein found in skin, hair and nails. It contains many Amino Acids – these are the building-blocks of proteins, and have a central role in biochemistry and nutrition. What other benefits does collagen have? 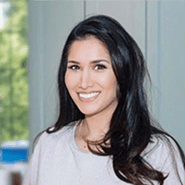 Collagen contributes to the maintenance of skin tissue and elasticity, connective tissue and prevention of wrinkles. 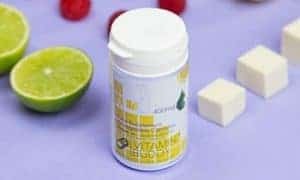 Collagen (FISH) 400mg, Capsule Shell: Vegetable Cellulose. 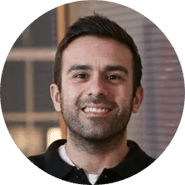 We are a super team of experts, all with a passion and experience in health & nutrition. Let us help you on your journey to better health. Are your vitamins certified according to EU standards? Just the 1 month, although we offer discounts on longer subscriptions. You can cancel your subscription at any time. Simply drop us an email at hello@vitaminbuddy.co.uk, or via the member dashboard. Try Vitamin Buddy risk free with a 28 day guarantee.